Yu Aoi Film Discussion – Tokyo! – Shaking Tokyo | personal.amy-wong.com - A Blog by Amy Wong. 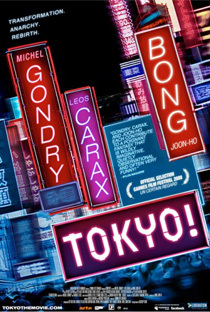 When I first heard about Tokyo!, I couldn’t help but spazz thinking about a Michel Gondry project relating to Yu Aoi. Then the spazz went away, because Yu never got the chance to meet Gondry, LOL. But I was still excited over this, if only for the international exposure of it all. The three short films don’t really work together as a cohesive film, and you just sort of feel that these segments are too long for their own good. It feels this way because many went into this thinking it would be just like the “X City, I Love You” anthology films, in which we saw 14 segments of five minutes each. Separately, though, they seem like more interesting pieces. While I didn’t particularly find Merde good, it was my friend’s favorite, so I guess it all depends on what you like. 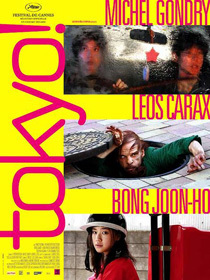 I found Gondry’s Interior Design quite good, if only to see Fujitani and Kase (and Ito) on screen. I also thought the concept of Fujitani’s character turning into a useful piece of furniture was intriguing, but at the same time scary – and kinda funny. Did anyone else thought “pirate with the wooden leg” on that scene? I can’t really comment too much on Merde, since I feel it went totally over my head and I don’t get it. Also, my friend keeps pointing it out. I’ll say it again, it’s weird. 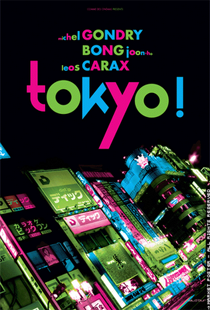 I’m still battling it out between Interior Design and Shaking Tokyo as my favorite segment, though. 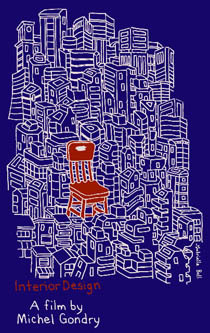 I didn’t know anything about Hikikomori before this, and I must say I feel kinda like one from time to time, so you could say that I actually connected with that. There isn’t really much dialog on this segment, and I can’t really recall if Yu ever spoke, but there were a few good scenes. I thought the scene in which Yu faints, and Teruyuki Kagawa presses her tattooed buttons was genius, but the whole earthquake scenes that make people go in and out of the Hikikomori state is just too much of an anvil for me. I decided to do two separate ratings. One for the whole film, and one for Shaking Tokyo alone. Favorite Scene: Hmm… tough one to choose because the one with the buttons is more like a reaction, I guess. How about that scene where she does that separating the thumb trick people do. This is the year to "unfriend"
I think Tokyo! doesn’t really work together, but the three segments just stand on their own. Just like my friend liked Merde, and you liked Shaking Tokyo, and I’m undecided… it’s pretty safe to say that the shorts work, just not together. the theater feeling weird and sad hahaha. I didn’t know what to make of Tokyo! to be honest. 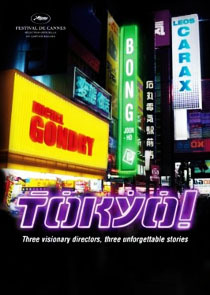 I like the first film the most, but it didn’t seem to be specifally about Tokyo, and I noticed in the credits it was based on a short story set in New York. The middle bit was okay, I suppose. The last one was interesting – I liked the way it was shot with the outside being this oppressively hot place. But yeah. Not bad. I’m sure I should give Merde a second try, but I need to be in the mood for it. TOKYO! – in a City Near You!